Keep your suede and nubuck shoes and accessories clean and looking like new with the following products: Kiwi Suede & Nubuck Cleaner, Kiwi Suede & Nubuck Protector, Kiwi or Meltonian Suede & Nubuck Kit, Lincoln E-Z Suede Cleaner, Kelly's De-Salter. We also carry Suede and Nubuck Brushes to clean and raise nap to keep items looking like new. Try Kelly's or Tarrago Suede Dye to restore color to old suede shoes and accessories. 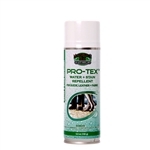 Pro-Tex™ is a year round weather and stain protector for all genuine or man-made, leathers, suede and fabric. Helps Prevent cracking, fading, discolouration and premature aging. Repels water, soil, oils and stains. Use on footwear, garments, apparel, furniture, drapes and accessories. Lincoln E-Z Suede Cleaner - 8 oz. Angelus Easy Cleaner - 8 oz. Lincoln E-Z Suede Cleaner safely cleans surface dirt on suede, leather, buck, nubuck, vinyl, linen, canvas, nylon and satin. Strong enough to remove grease marks from suede, and salt stains from leather. Use it like a suede shampoo. Make a foam using a sponge, to easily remove dirt from shoes and other leather articles. It is strongly recommended to use a nylon brush to scrub the shoes with. Angelus Easy Cleaner is a premium cleaner for suede, nubuck, vinyl, straw, canvas, and carpet. Will clean all leathers. One of our most popular, versatile cleaners. Test on an unseen area prior to overall use. We have teamed up the Lincoln EZ Suede Cleaner and our Nylon Brush. It is a must have for cleaning suede shoes, boots and accessories. Lincoln E-Z Suede Cleaner safely cleans surface dirt on suede, leather, buck, nubuck, vinyl, linen, canvas, nylon and satin. Strong enough to remove grease marks from suede, and salt stains from leather. Use it like a suede shampoo. Make a foam using a sponge, to easily remove dirt from shoes and other leather articles. Use the nylon brush to scrub it into the shoes. Use this round Nubuck Brush to raise the nap of the leather on shoes, boots, handbags, or any other nubuck items. Especially good for reaching those hard-to-get places. Measures 7" long. Made in USA. This Nubuck Brush restores worn-out nubuck shoes and boots. Helps bring back that new look by reviving the nap. Measures 3.25" x 1" x 1" (L x W x H). This wire Suede Brush restores worn-out suede shoes and boots. Brings up the nap, making items look like new again. Brush measures: 3.25" x 1" x 1" (L x W x H). Shoie Gear Suede & Nubuck Kit restores the appearance of old and worn shoes. Kit includes one stain eraser bar and a brush. The bar removes shiny marks and stains. The brush raises the nap of leather to its original appearance. Easy-to-use, quick-dry cleaning system. Kelly's De-Salter - 4 oz. Kelly's De-Salter removes salt stains from shoes and boots. Safe for leather, suede and fabric shoes and boots. Salt stains can effect footwear in both snowy winter climates, and warm coastal areas. Easy-to-use, sponge-top bottle prevents mess. Kelly's Cobbler Suede Dye restores worn, discolored suede to its original color and appearance. Includes a brush for easy application. Comes in 4 colors: Black, Dark Brown, Medium Brown and Navy Blue. Fiebing's Suede and Rough-Out Dye dyes, brightens and restores suede and rough-out shoes, boots, handbags, etc. Not for man-made articles. 4 oz. Available in: Aqua Green, Black, Beige, Burgundy, Dark Brown, Green, Light Brown, Lilac Green, Medium Brown, Navy, Purple, Red and Tan. will not rub-off, crack, or peel. Moneysworth & Best Suede Renew freshens the color of suede and nubuck shoes, boots, handbags, jackets, etc. Preserves leather against water and stains. This is an aerosol spray dye that will put color back into suede. It is not recommended for use to change suede to a different color. Available in: Black, Brown, Burgundy, Grey, Navy Blue and Tan. Tarrago Suede Dye for suede, nubuck, split, synthetic suede and similar leather. Use it to dye shoes, boots and much more. Colorfast - will not bleed, fade, or rub off once dry. Applicator brush included. You should only use this product to change from a light to a dark color. Available in Black and Dark Brown. Moneysworth & Best Suede Renew freshens the color of suede and nubuck shoes, boots, handbags, jackets, etc. Preserves leather against water and stains. This is an aerosol spray dye that will put color back into suede. It is not recommended for use to change suede to a different color. Available in: Black, Brown, and Tan. Tacco Velour & Nubuck Cleaner Gum Eraser cleans shoes, boots, and clothes made of suede or nubuck. Removes heavy stains. Very easy to use, simply rub area to be cleaned with the eraser until stain is gone. Griffin Suede & Nubuck Cleaner cleans and renovates suede & nubuck shoes, boots, belts and more. The fast drying formula revives the nap, making suede articles look new again. Tarrago Universal Leather Care Cleaner is a liquid cleaner suitable for all colors and all types of leather. It is especially recommended for footwear, bags, belts, and upholstery. 125ml/4.23 fl.oz.